All young riders aren’t equal—at least when it comes to how tall they are, and what riding skills they’ve developed. Neither are all adults, for that matter. 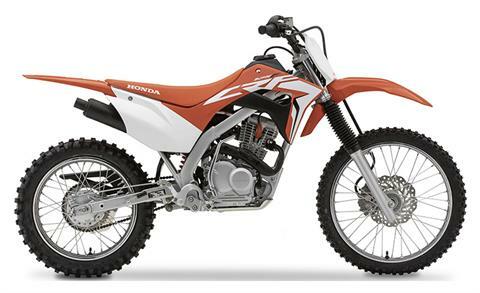 And because we all know that, Honda is happy to serve up the CRF125F Big Wheel. Oh, and by the way, it gets some big improvements this year too. 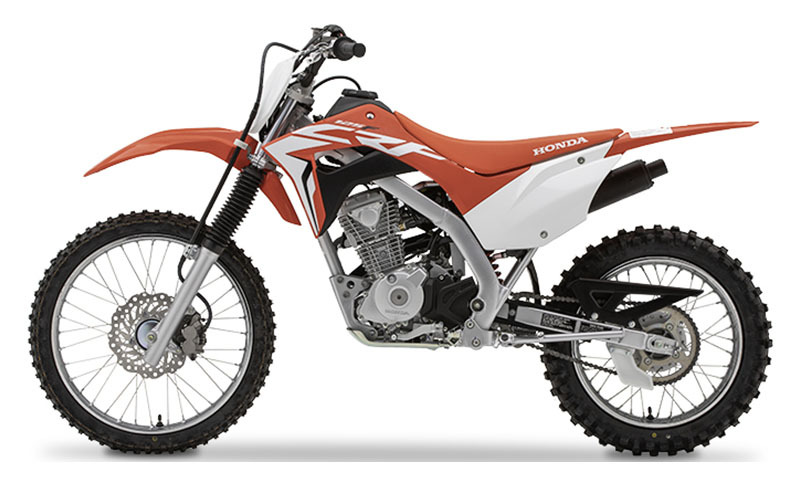 It’s loaded with features too, and since it’s a Honda, it’s also famously reliable—a big plus, because riding is a lot more fun than wrenching. But for 2019 that engine now comes with fuel injection. That makes a great engine even better, first because it broadens up the power, but most of all because you can say goodbye to clogged up pilot jets after the bike’s sat out the winter. It also means easier starting and better running in cold weather or at high altitudes, and less pollution. In addition, there’s a new twin-spar steel frame, and more suspension travel at each end for an even more plush ride. An electric starter makes it easy to get going, while a four-speed transmission gives you all the control of a full-sized bike. 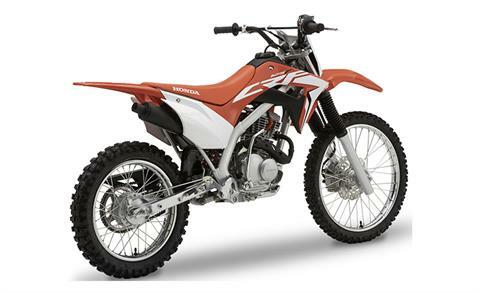 The long and short of it: Sized to fit taller riders just right, but without putting them on a bike that’s too big or that gives them too much power too soon, the CRF125F Big Wheel is another great choice in our off-road line. 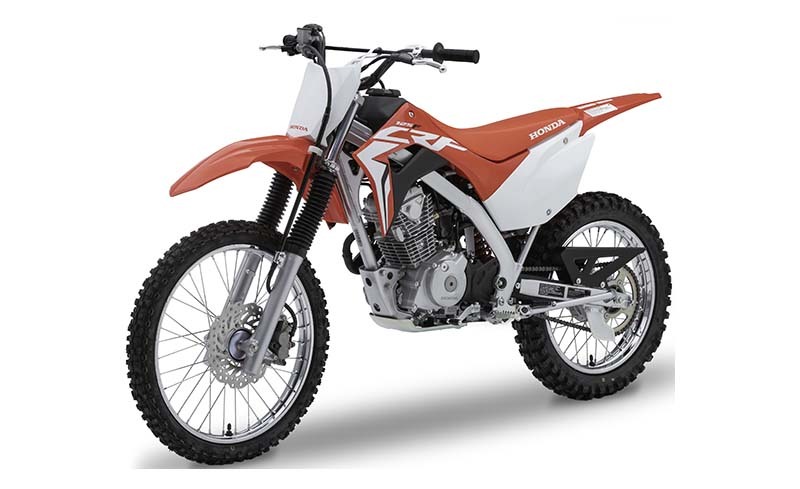 CLEAN-RUNNING ENGINE: Another benefit of fitting the CRF125F Big Wheel with fuel injection? 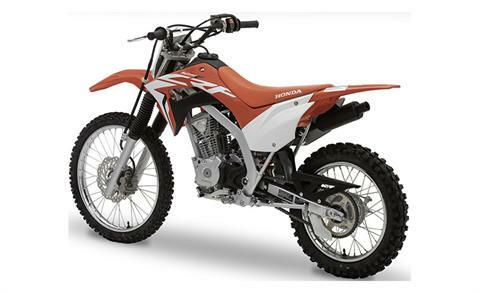 Now it even meets California’s stringent CARB emissions standards for off-road motorcycles—good news for everyone. PRO-LINK® REAR SUSPENSION: Progressive linkage connects a single heavy-duty shock to the swingarm, delivering an excellent combination of spring and damping rates over a wide range of riding conditions. This year the CRF125F Big Wheel gets nearly an extra ¾ inch of suspension travel, too. NEW STEEL FRAME AND SWINGARM: Less experienced riders are hard on equipment, especially when they’re just starting out. That’s why we gave the CRF125F Big Wheel a strong, new, twin-spar-type steel frame and swingarm that are built to handle the bumps and dings of off-road riding. 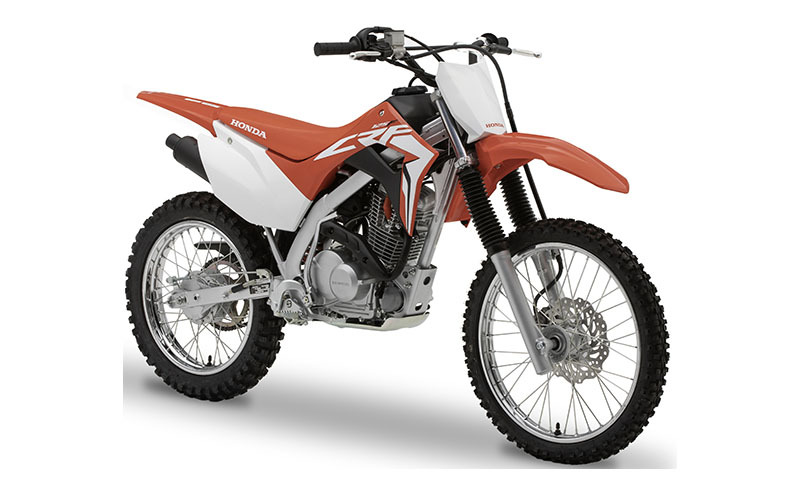 RELIABLE ENGINE: The CRF125F Big Wheel’s dependable four-stroke single-cylinder engine offers good performance with a wide powerband—perfect for a wide range of riders, including beginners. And for 2019, new fuel injection makes it even better and more efficient.